Boot leather with steel toe cap, comfortable, flexible and ergonomic. Collar padded, outsole of PU double density and grip on slippery floors. Shoe grain leather, 100% non-metallic. Insole and toe cap made of Composite. Eyelets of plastic and laces 100% polyester. Outsole dual density PU. Shoe suede, perforated toe cap and steel stencil, comfortable, flexible and ergonomic. Padded ankle strap, PU outsole, dual density and grip on slippery floors. 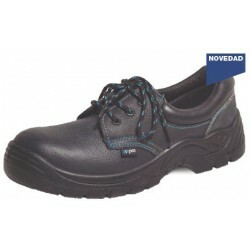 Shoe suede perforated, with steel toe cap, comfortable, flexible and ergonomic. Padded ankle strap, PU outsole, dual density and grip on slippery floors. Shoe skin hidrofugada. Non-metallic. Toe cap and insole made of Composite. Arretes of plástocp and laces 100% polyester. Outsole of PU double density. Shoe skin hidrofugada with toe cap and steel stencil. Comfortable, flexible and ergonomic. Collar padded, outsole of PU double density and grip on slippery floors. Shoe leather with toe cap and steel stencil, comfortable, flexible and ergonomic. Padded ankle strap, PU outsole, dual density and grip on slippery floors. Shoe leather with steel toe cap, comfortable, flexible and ergonomic. Ccollarin padded, outsole of PU double density and grip on slippery floors. Boot grain leather, 100% non-metallic. Insole and toe cap made of Composite. Eyelets of plastic and laces 100% polyester. Outsole dual density PU. Boot skin hidrofugada. Non-metallic. Quick and toe fabricadoas with composite. Arretes of plastic and laces 100% polyester. Outsole of PU double density. Boot skin hidrofugada with toe cap and steel stencil. Comfortable, flexible and ergonomic. Collar padded, outsole of PU double density and grip on slippery floors. Boot of leather with toe cap and steel stencil, comfortable, flexible and ergonomic. Collar padded, outsole of PU double density and grip on slippery floors.